Obituary for Leonard Anthony Ortolano | Edwards Memorial Funeral Home, Inc.
Leonard A. Ortolano, (Len), 82, of Milford MA, a native of Brooklyn, NY and a long time resident of Milford, MA, died peacefully at home on Wednesday (March 20, 2019). With the expert help of his Dana-Farber, Milford care team, he waged a valiant struggle with a longstanding illness to which he eventually succumbed. His family was able to fulfill his wish to spend his last days in the comfort of his own home due to the unwavering support, loving hearts and expert hands of Salmon VNA & Hospice and Worcester Home Care, Inc.
Mr. Ortolano was predeceased by his parents, Carmine and Antonina Ortolano and a son Leonard A. Ortolano, Jr.
Mr. Ortolano and his wife Alberta (Birdie) were married on Staten Island, NY and later relocated to Massachusetts where they raised their family. After retirement from a successful sales and management career at Dun & Bradstreet, Len channeled his considerable sales expertise into building a profitable payroll processing business with his partner. Mr. Ortolano was a graduate of New Dorp High School, Staten Island, NY and Brooklyn College, Brooklyn, NY where he received a B.S. in Economics. As a young man, he served in the New York National Guard. 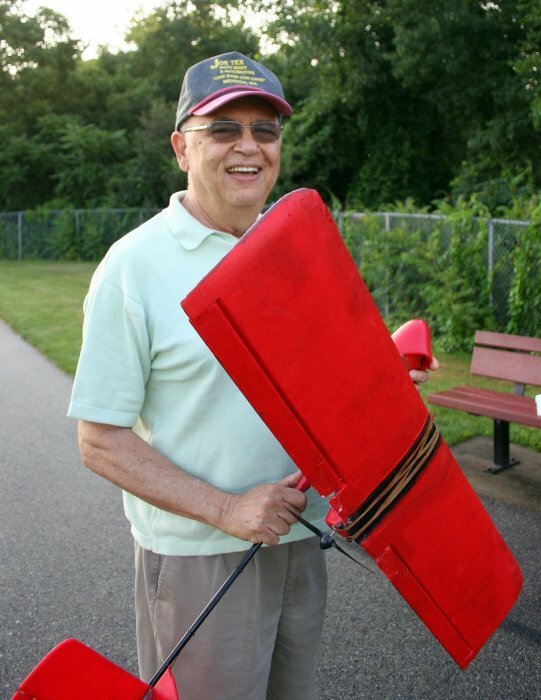 An airplane enthusiast from an early age, Len loved building and flying radio-controlled model airplanes and was a member of the Northbridge RC Flyers. He obtained his private pilot license and enjoyed flying for many years. Len and Birdie enjoyed boating with their family on Lake Winnipesaukee, NH and Narragansett Bay, RI. Later, they enjoyed cross-country RV excursions with family and friends to New York and Florida. Mr. Ortolano kept abreast of the news and current events and was passionate about economics, finance and investing. Mr. Ortolano leaves his wife, Alberta, of 60 years; two sons, Christopher Ortolano and his wife Amber of Miami Beach, FL, Stephen Ortolano and his partner Andrew Sirois of Lowell, MA and a daughter, Cynthia Ortolano and her wife Sabrina of Los Angeles CA; a sister Rosalie and her husband Neil Petermann of Toms River, NJ, a brother Frank Ortolano and his wife Toni, of Jacksonville, FL; Beloved in-laws Sr. Victoria DiBrizzi, Gloria DiBrizzi and Anthony and Joann DiBrizzi. He also leaves nieces and nephews: Joseph Boccuzzi, Lee Anne Boccuzzi, Diane Ortolano, Jennifer Walz, John Walz, Laura King, Michael DiBrizzi, Jennifer Rothar, and his godchild, Lynn Sgammato. In accordance with his wishes cremation will take place. Friends and family are invited to attend a service celebrating the life of Leonard Ortolano which will be held Saturday, March 30 at 10:00 AM at the Edwards Memorial Funeral Home, 44 Congress St. Milford MA 01757. Burial of his cremains will follow in St. Mary’s Cemetery in Milford MA. In lieu of flowers, memorial contributions may be made to Dana-Farber Cancer Institute, P.O. Box 849168, Boston, MA 02284-9168 (www.dana-farber.org).